"Bunohaansh" Exclusive !!! 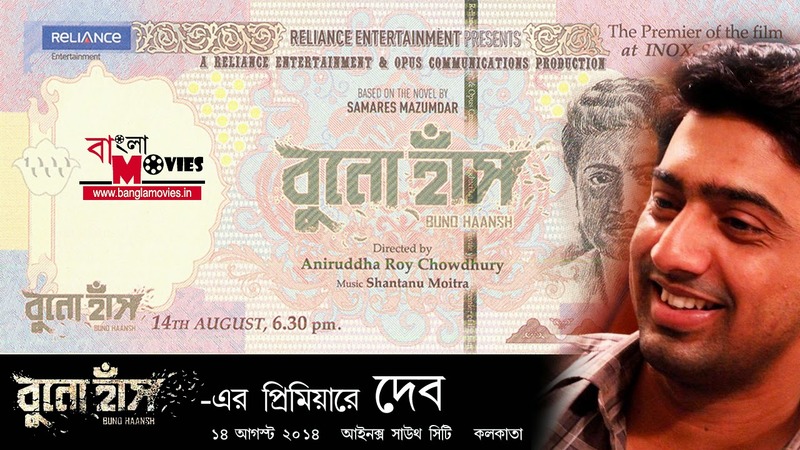 Superstar Dev in "Bunohannsh" Premiere@Inox South City, Kolkata on 14th August 2014. "Bunohaansh" based on a novel by Samares Mazumdar and Directed by Aniruddha Roy Chowdhury. Music Directed by Shantanu Moitra. Starring Dev, Tanushree, Shravanti, Moonmoon Sen, Gargi Roy Chowdhury, Sohag Sen, Arindam Sil, Raima Sen & others.